There’s nothing quite like a warm blanket in cold weather. We’re not talking about wool or fleece or polyester, though—we’re talking, as we so often are, about cheese. 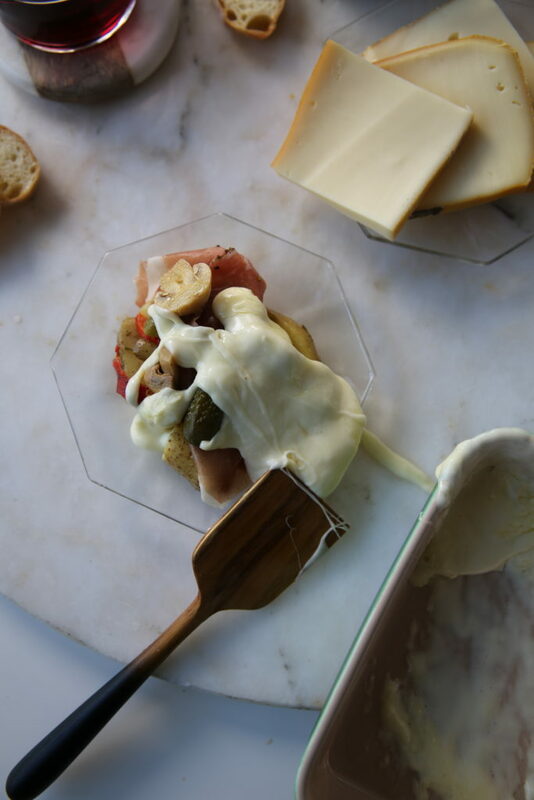 Specifically, we are talking about raclette. The origin story goes that cow herders used to bring this then-unnamed cheese with them when leading their cows to high mountain pastures. When they’d set up camp for the night, the herders would place the cheese next to the fire, letting the exposed paste get bubbly and gooey. Once it was perfectly melty, they’d scrape the layer of bubbling cheese over some bread, and then repeat the process. 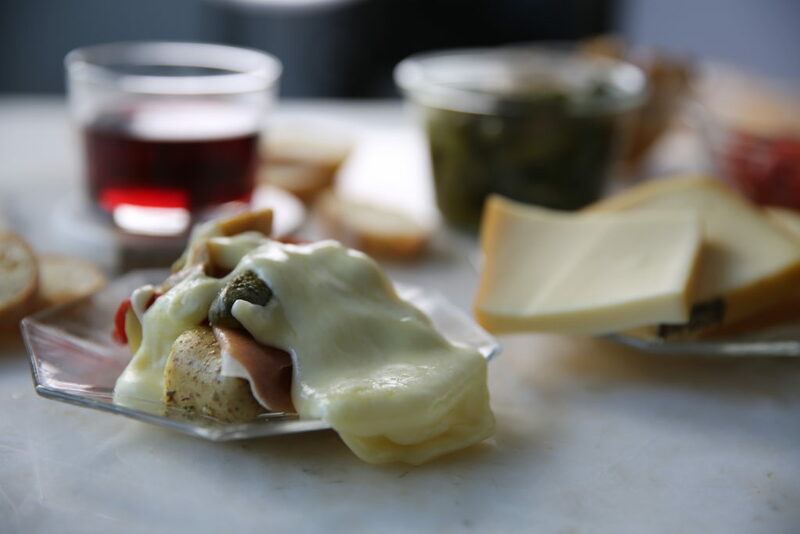 And that, in a nutshell (or rather, in a cheese rind) is how raclette got its name. 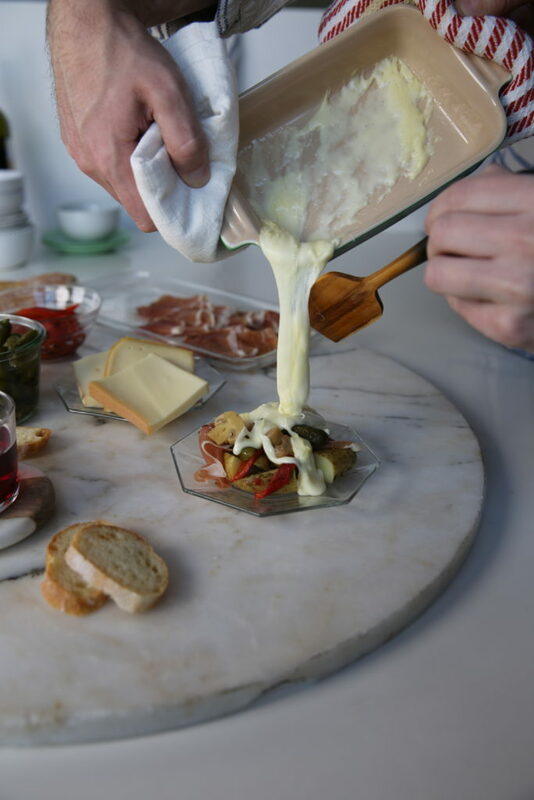 Because it is simple, interactive, and undeniably delicious, raclette is quite the popular dish for dinner parties. 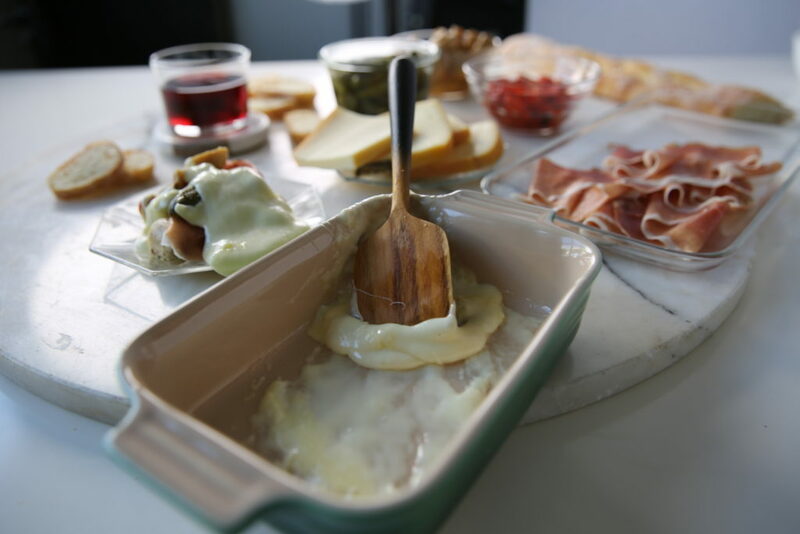 The most show-stopping melting method is to fasten your wheel of raclette into an industrial raclette machine, which looks a lot like a tanning bed for cheese. While quite the spectacle, these machines are also expensive and unwieldy. 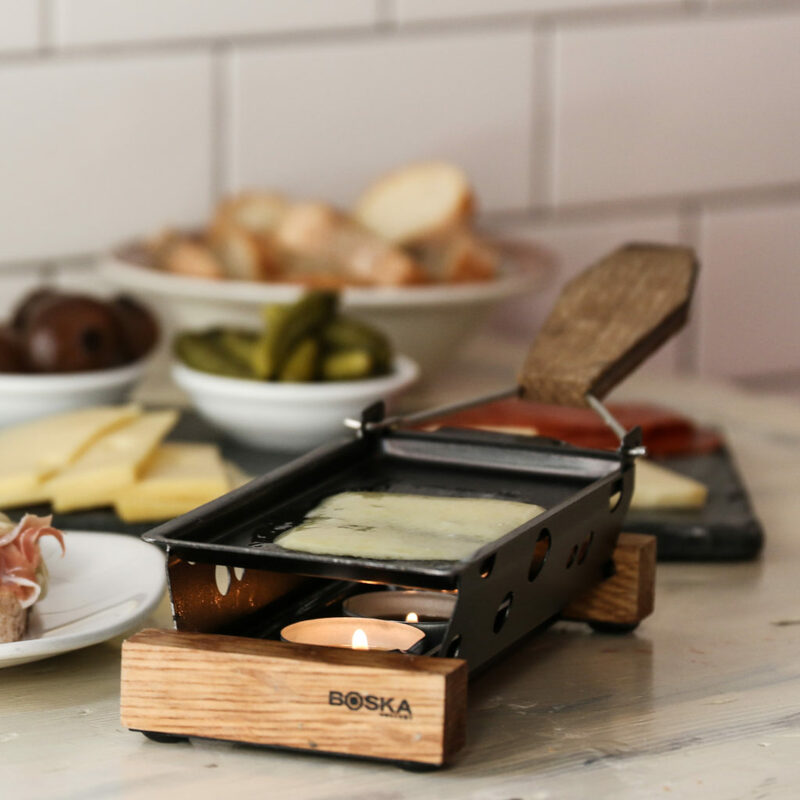 You can do just as well with this mini racellete machine or this “partyclette” from our pals at Boska, both of which are completely portable, eminently economical, and incredibly easy to handle. 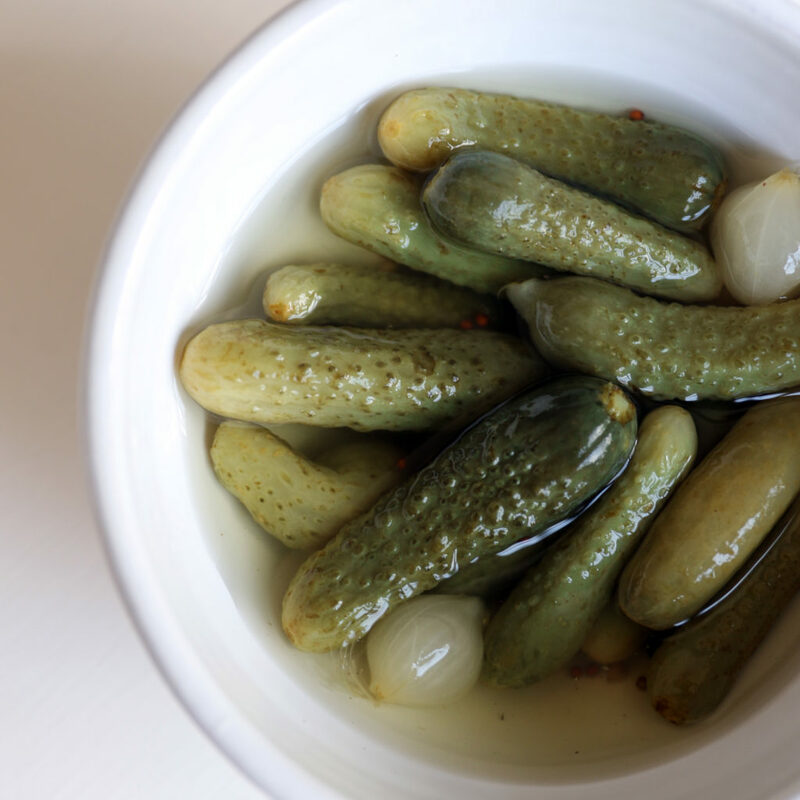 With their pleasant tartness and snappy crunch, these lil’ gherkins have both the texture and taste to hold up under a pungent sheet of melting curd. 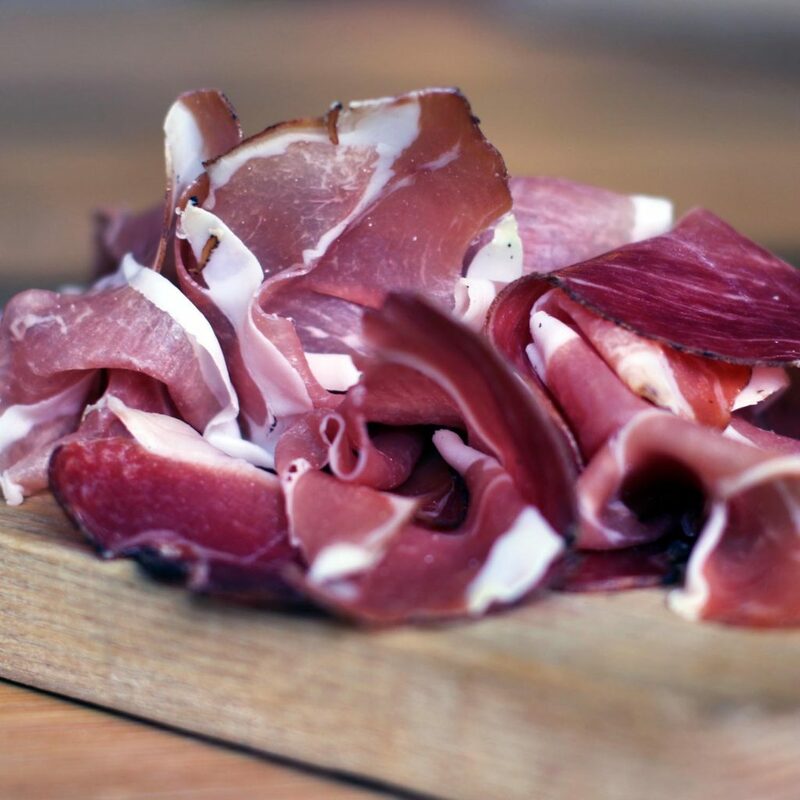 An alpine meat itself, Murray’s Speck brings a simpatico flavor profile for this kind of meal, along with a nice touch of beechwood smoke. 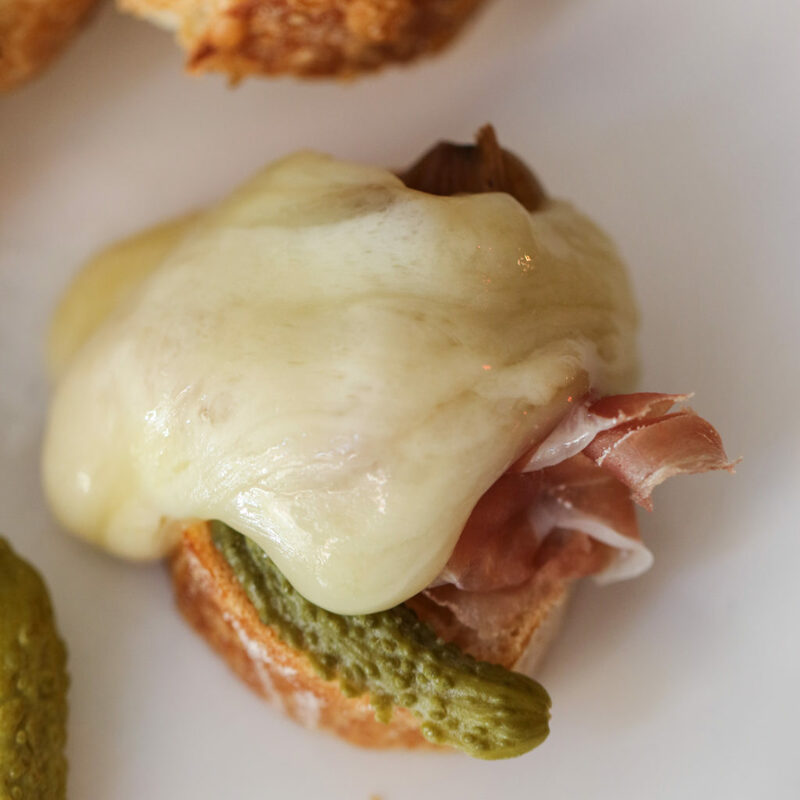 A good chub will have a nice chew, which is just what a bite of raclette calls for. 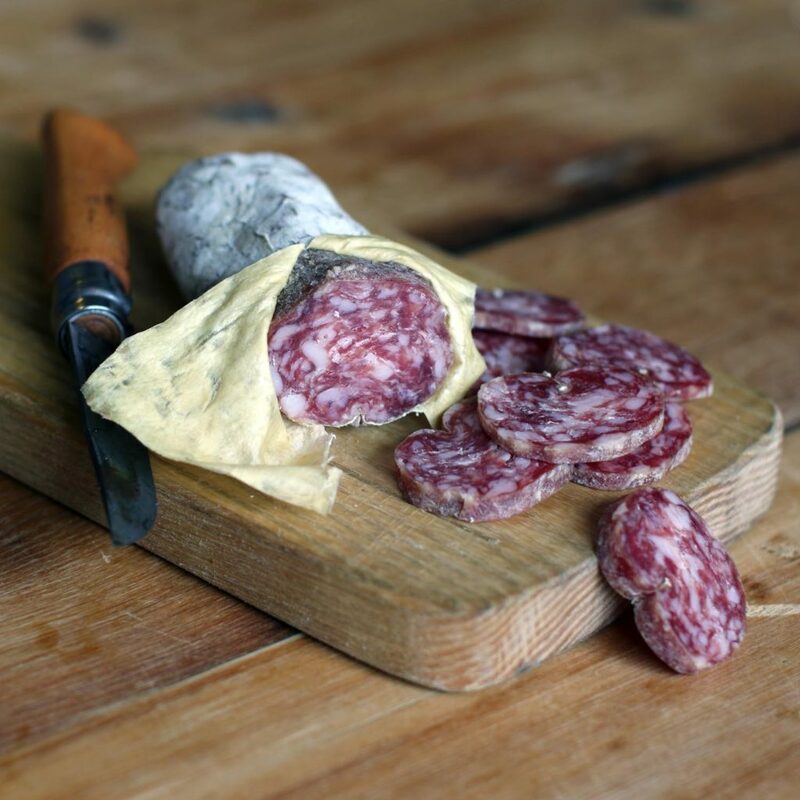 The flavors of white pepper and garlic in this Genoa salami bring out the best in the cheese too. 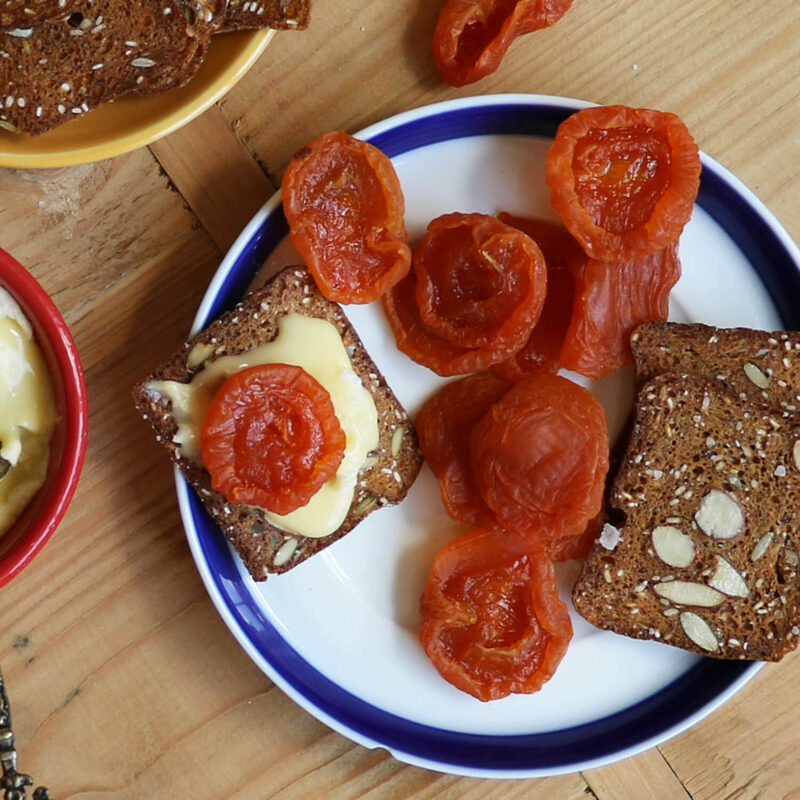 A good raclette has a deep fruitiness, so it makes sense that these dried apricots—which have similarly chewy properties to the salami—work so well with it. Happy racletting to you and yours.